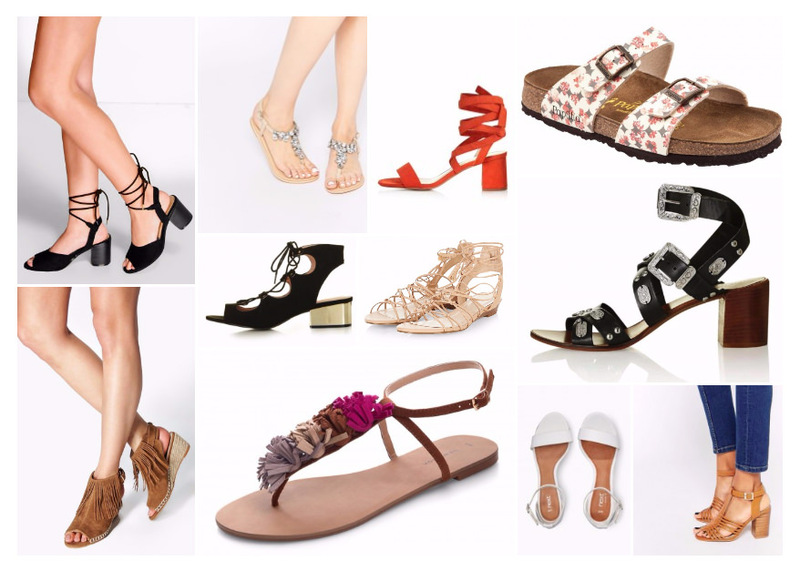 I always love getting a new pair of summer sandals so I have been looking at what the high street currently has on offer. I love the bright shades and little ankle straps and ties, they look so pretty and are such a lovely added detail. I cannot wait to start wearing some more summery clothes again (whenever English weather decides it will start being warm!). Whilst I love summer sandals with a heel they aren’t so practical for me as I struggle to wear heels for a long period of time. For hot summer evenings out I think that the Topshop DELILAH Tie-up Sandals are perfect, a pop of colour with a lovely ankle strap detail and not too high. For everyday however I have been looking at the beautiful flats, or at least low heel summer sandals. There is such a beautiful selection, I am a really big fan of the Topshop DAILY Heeled Ghillie Sandal as they look so nice, have a great design with metallic heel but are so low I could wear them when I have lots of walking. I also think the New Look Stone Suede Pom Pom Sandals are so sweet, the pom pom detailing makes them look quite high quality but super cute! Which are your favourite summer sandals for summer 2016?